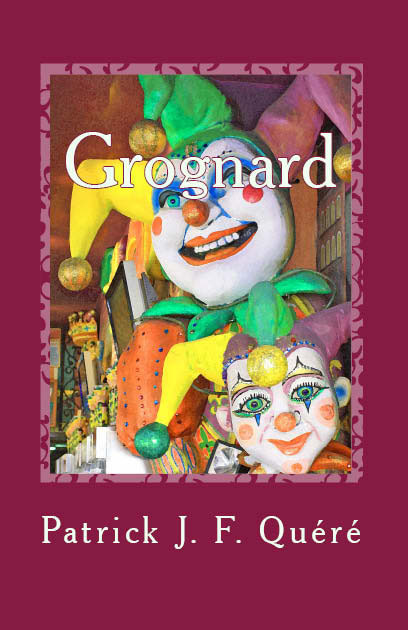 Sunbury Press has released Patrick J. F. Quere's post-postmodern novel "Grognard". It is available from the publisher and from Amazon.com and other online booksellers. July 24, 2010 - PRLog -- Camp Hill, PA - Sunbury Press has released Patrick J. F. Quere's post-postmodern novel "Grognard". It is available from the publisher and from Amazon.com and other online booksellers. Felix Moullec is a sociopath in his mid-20s who lives in a rented duplex in a South Florida ghetto along with his father who is sexually attracted to him. He is a college graduate but because of the recession he cannot find decent work so he delivers newspapers part-time. One day in November he and his father go sailing with his ailing grandfather aboard his sailboat Grognard and they discuss how fed up they are with their lives. This turns out to be the last time the three Moullecs go sailing together because his grandfather, Jean, soon suffers a stroke and he is put in a nursing home. Felix and his father, Jacques, are involved in a car accident in which Jacques is killed. And then after stumbling upon the grave of his onetime best friend Felix regresses to a childhood psychosis and lives out his catholic fantasies aboard Grognard. PATRICK JOHN FÉLIX QUÉRÉ (pronounced 'kay-ray') was born and raised in Hollywood, Florida where he currently resides in tolerable misery. His highest ambition in life was to do absolutely nothing, but in an intense two-week spell of disgust and hate he wrote Grognard (pronounced ‘groy-nar’), a somewhat autobiographical novel. He is now at work on a political manifesto and a science fiction novel about God. "This book is simultaneously dark and entertaining - like a blend of 'Fargo' and 'Pulp Fiction'. It is the 'Stand By Me' for the current generation of over-educated under-achievers in a land of fading opportunity. While some readers may be offended by the abrasiveness of the anger of the protagonist, his rants and conundrums of truth will challenge one's conscience and engage the reader politically, morally and ethically. In the end, the story is about individual, family, community and country. Is there light at the end of the tunnel for poor Felix?" Sunbury Press, Inc., headquartered in Camp Hill, PA is a publisher of trade paperback books featuring established and emerging authors in many fiction and non-fiction categories. Sunbury's books are sold through leading booksellers worldwide.